Initially called Carnival Holiday and sporting Carnival’s trademark winged funnel, adult-friendly Magellan is now thirty years old, although the lady has aged well. Our cabin was spacious with adequate storage space and well planned bathroom. Despite our aversion to plastic shower curtains, the generous size of the shower area meant that the curtain didn’t wrap itself round us; the shower head was detachable for those not wanting to risk wet hair. 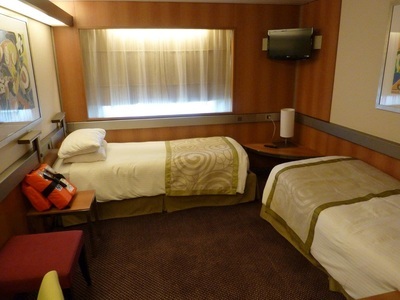 The two single beds were in an L shaped format, as they were in other cabins, although cabin stewards are happy to re-arrange them into double beds. 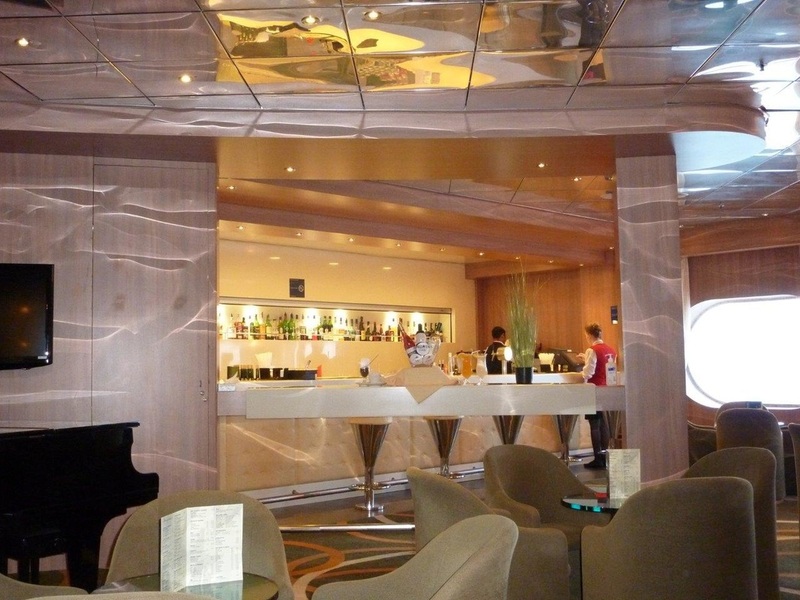 Magellan has all the usual facilities including a show lounge - a theatre, the Captain’s Club - a music and dance venue, lounges, bars, disco, casino, and the Jade Spa. We were allocated a table on the second sitting for dinner in one of the two main dining rooms – there is no speciality dining on Magellan. Throughout our cruise the food was of a good standard and the service excellent. The main dining rooms were popular at breakfast time but proved a haven of peace and tranquillity for lunch. 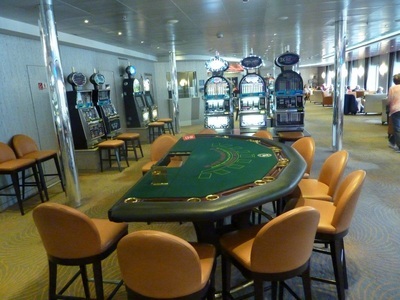 There is also a buffet which is sensibly laid out in stations rather than one long line, which avoids queuing. 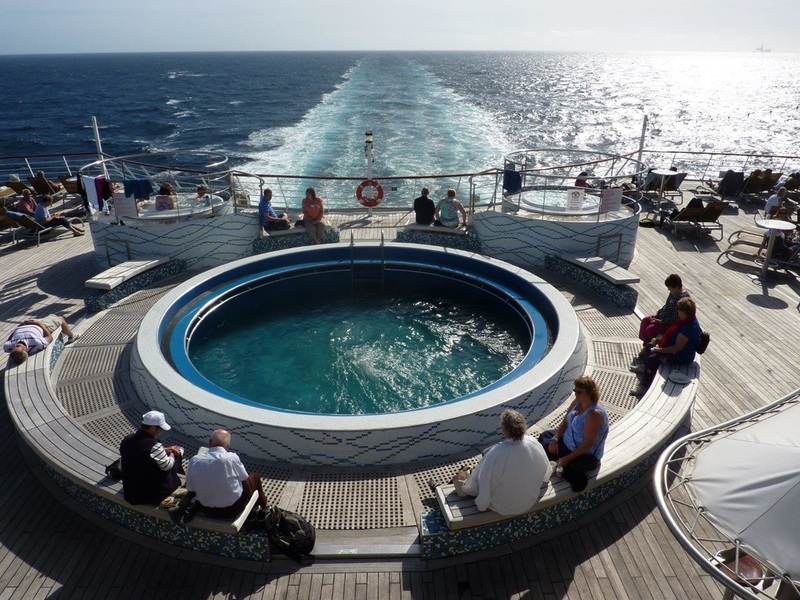 Out on deck there are two pools and three Jacuzzis. Feeling thirsty? 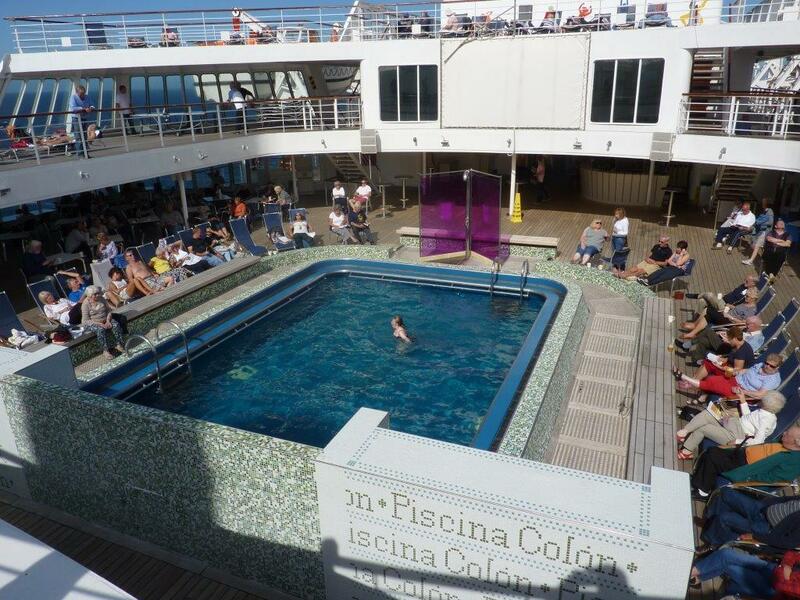 No problem, the Eros and Lido bars are not far away. 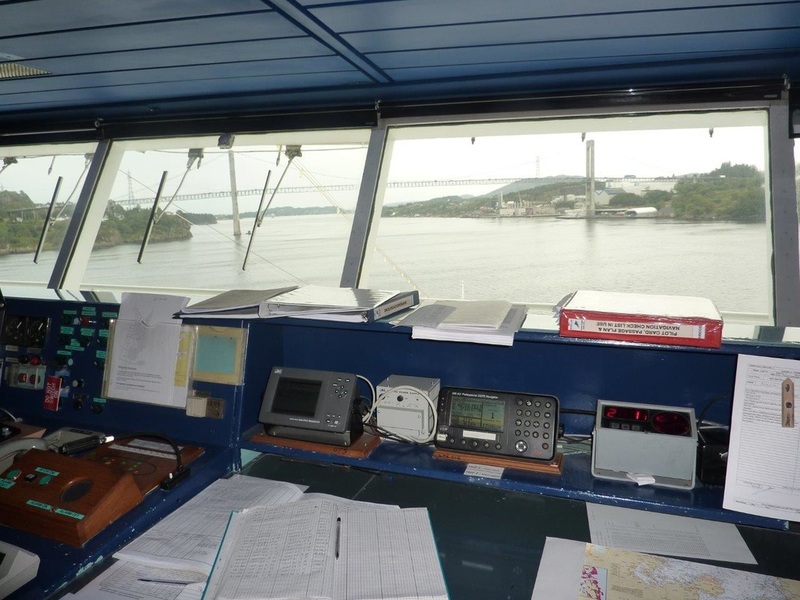 Our first day was spent at sea as Magellan headed north towards Norway from her home port of Tilbury. 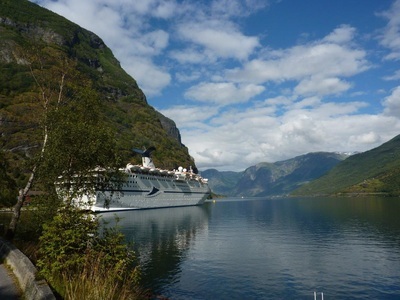 The following morning Magellan made a short stop at Ulvik, a small village on Hardangerfjord, so passengers on an overland trip to Eidfjord could disembark and meet us after the ship had made its first main stop there. 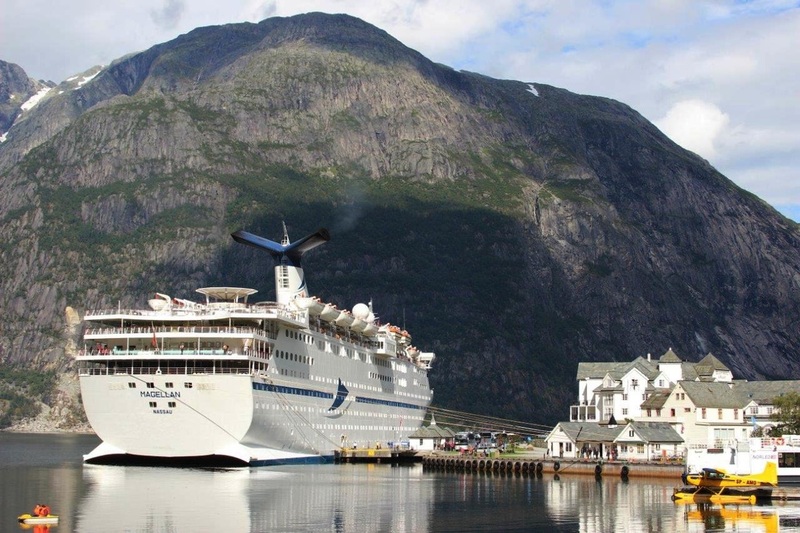 Like most villages in the Fjords, Eidfjord is quiet, peaceful and set against the stunning scenery of towering mountains and deep waterways. We visited the local nature centre and drove up the mountains to the Fossli hotel which opened in 1891 and overlooks the spectacular Voringsfoss waterfall. The hotel, now run by the third generation of the family that built it, has attracted royalty and the composer Edward Grieg. 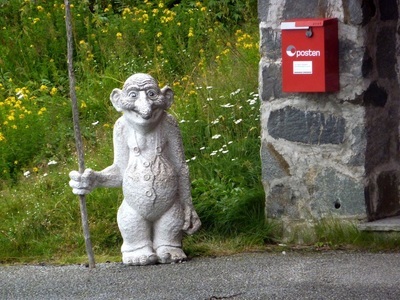 It's post box is guarded by one of Norway's many trolls! Once back in Eidfjord we visited the Nils Bergslien Gallery where the Mayor was on hand to introduce us to this famous Norwegian artist. It was great to view his work to the accompaniment of some of Grieg’s better known compositions played by a local concert pianist. Next day saw us in Flam, another small village with a population of around 400. 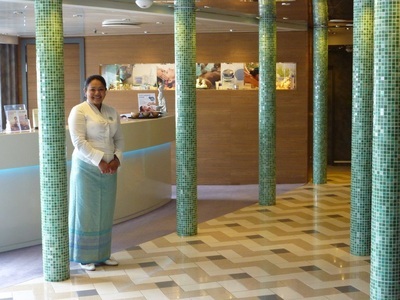 Its main attraction is the Flam railway. With an incline of 1 in 18 it’s the steepest railways that doesn’t use some form of special traction. 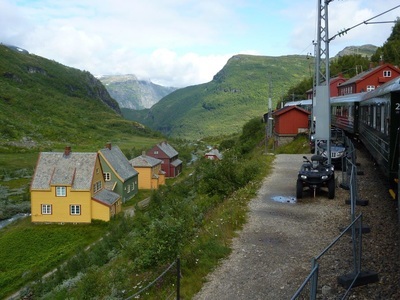 The railway connects Flam to Myrdal station, some eight miles away and 2,850ft above sea level, where passengers can connect to the main Bergen to Oslo line. The journey offers some spectacular views and there is a short stop to admire and photograph one of Norway’s many waterfalls. A trip on the Flam Railway is the main attraction for over 400,000 people who visit Flam each year. We returned to Flam on the train, but many visitors cycled back down so they could take more time to admire the view, and of course very little pedalling is involved! Close by the ship was a famous small and conveniently located brewery, but take care, a pint in here will set you back £12. Back on board later that evening, guests were invited to an amazing ‘midnight buffet’, actually around 11.00pm. 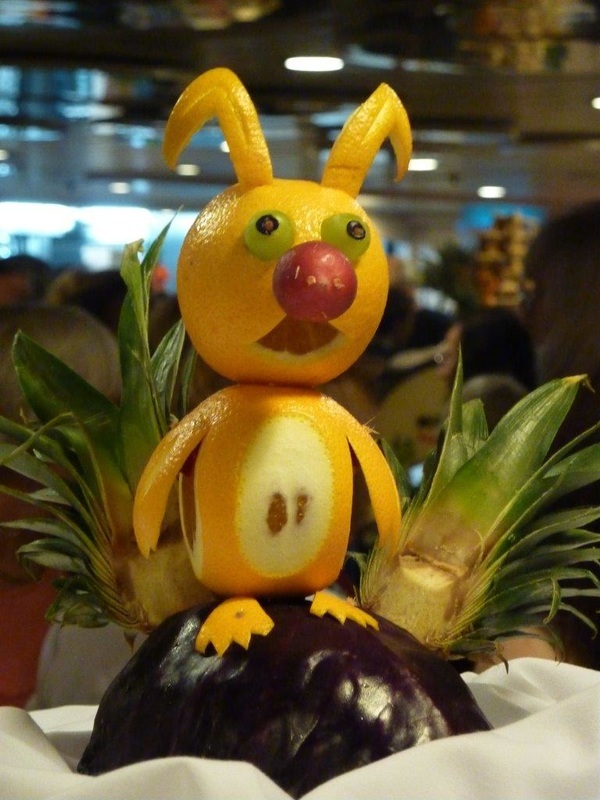 Beautifully decorated food, vegetables and ice carvings adorned the food stations and it seemed a shame to eat them. However, once started, the guests clearly thought the food tasted as good as it looked. Our final port of call was Bergen. 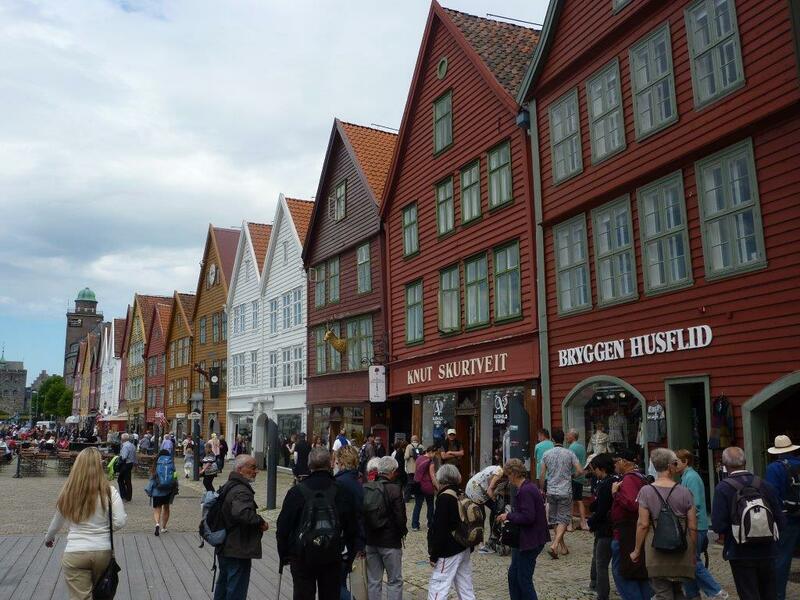 A town of a quarter of a million people, home to the world’s oldest Philharmonic orchestra, and the Hanseatic Wharf of Bryggen, a UNESCO World Cultural Heritage site. 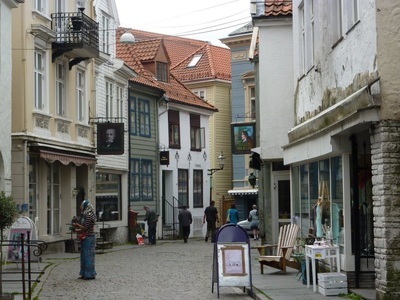 Bergen as a harbour dates back to the eleventh century and in 1360, merchants of the Hanseatic League opened an office there. The colourful buildings facing the port have been rebuilt but in the original style; venturing behind them takes visitors back to a bygone age. The harbour is also home to a small but famous fish market. 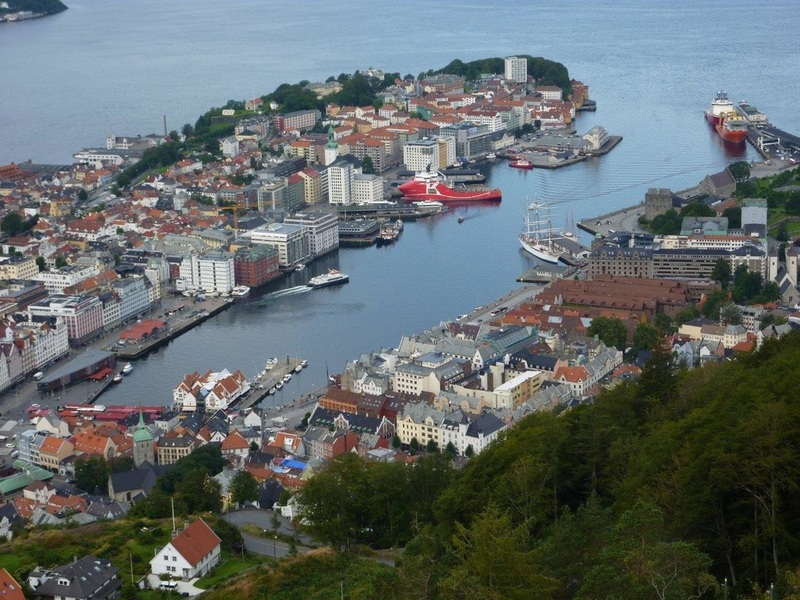 Known as the City of the Seven Mountains, Bergen is dominated by Mount Floyen. We took the funicular railway to the top of the mountain, 1,000ft above sea level. 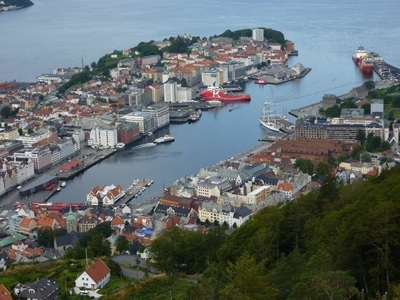 This lofty vantage point affords visitors stunning views of Bergen and the surrounding area. However, our best views of the city were made possible by using the hop-on hop-off bus with open sides that makes photography easy, especially as the driver stops at various photo opportunities so visitors can get the best shots. The English commentary was also very informative. Back on board we found an invitation to meet other guests at the pool bar on deck 10. 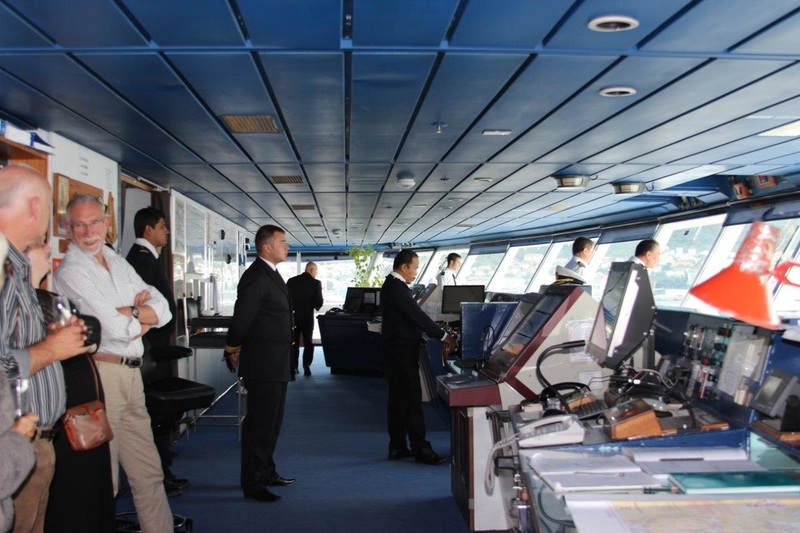 Once assembled, we were led to the bridge where the captain was on hand to greet us. Champagne and canapés had been arranged and we stood on the bridge as the captain ordered our lines to be let go and the pilot steered us away from the dock and through the harbour towards the open sea and home to Tilbury - without doubt the most memorable sail-away party we have had.